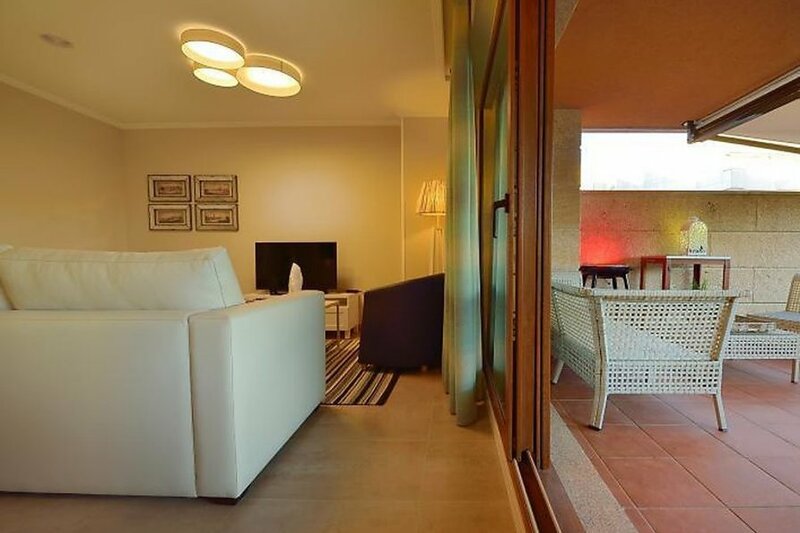 This 3 bedroom apartment with swimming pool is located in O Grove and sleeps 6 people. It has parking nearby, a gym and a spa. 4-room apartment for 6 people, 85 m2, on the ground floor, comfortable and modern furnishings. New, modern, comfortable apartment house "Apartamento Bajo en Isla de la Toja". * Shop 200 m, supermarket 200 m, restaurant 250 m, golf course 500 m.. The apartment is described as good value for money. It has a swimming pool and is located in O Grove. The nearest airport is 74km away. It is set in a convenient location. You can also park on-site at no extra charge. The apartment is well equipped: it has a dishwasher, a microwave, an oven, a washing machine and a TV with international channels.